Born in Padua in 1937, Anna Santinello lives and works in Milan, where she graduated at Brera Fine Arts’ Academy and she spent most of her artistic journey. A painter and a sculptor, she exhibited her works in well known galleries in Italy, France, Germany, Ireland and Columbia, participating in important international exhibitions, including: the Beauvais Biennale (France) 2002, the BIAB, Beijing International Art Biennale 2005, the Poznan Triennale (Poland) 2009, the Venice Biennale – Arsenale 2011 and the Brahant – Tilburg Biennale (Holland) 2012. Her works have been presented and reviewed by important names such as Giovanni Testori. Anna Santinello’s works are included in many public and private collections in Europe, the United States, Argentina, Japan, Brazil, Mexico and China. She was annual member of some Artistic Commissions, including the one of the Fine Arts Museum, at the Palazzo della Permanente in Milan, from 1999 to 2001. Always engaged in fighting violence against women, in 2011 she received an official recognition for her work by the Province of Milan in the venue of Palazzo Isimbardi. Her work arises from a desire to manipulate, dig, hurt and recreate. With the push of an instinctive impulse, Anna Santinello creates with fury, passion, violence, anger and a certain fetish, but also with emotion and with a set of melancholy, joy and sadness. Her art ranges from painting to sculpture. The latter is achieved through the weave of metal wires of various nature, strong and resistant, but it also passes through the processing of the marble and, more recently, the photograph, produced with different techniques and associated with new materials such as plexiglass and mirror, on whose reflective surfaces are based wires that create a visual and virtual breakthrough. Also these works have content that exceed the mere aesthetic fact, becoming metaphor of the changing effects in the new globalized society, where the more and more advanced technologies and contamination seems to have let everything become ephemeral and transitory. These new boundaries are what the artist is trying to overcome, without losing the charm of the mystery transmitted by comparison between matter and idea. 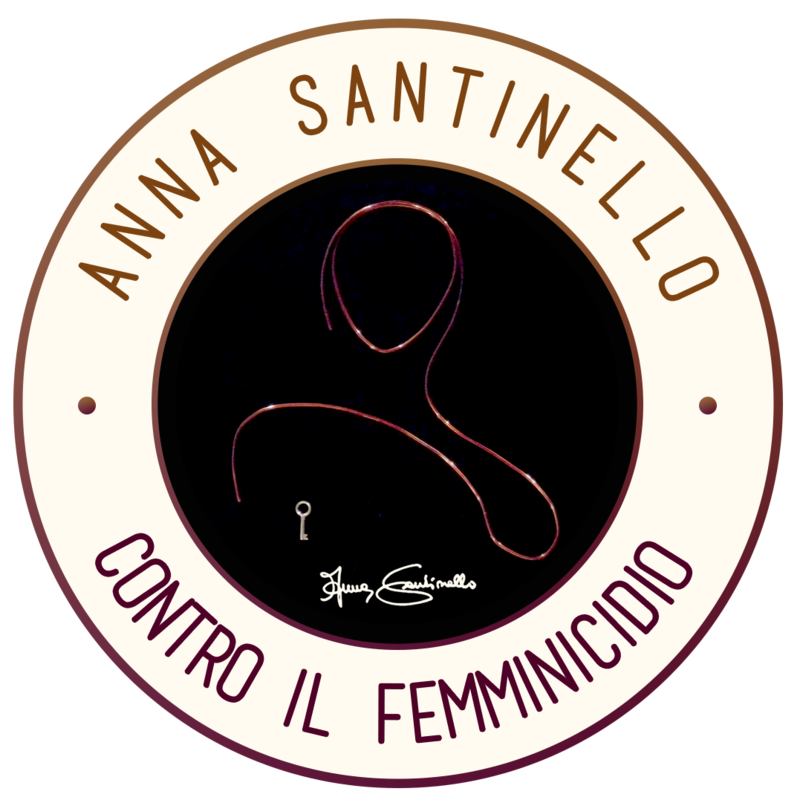 Anna Santinello has always been involved in the fight against feminicide and with this symbol the artist presents all the works dedicated to this theme.